Holcim Philippines’s most important business partners led by Peaksun Enterprises & Export Corp., the country’s largest distributor of bulk cement, welcomed the company’s commitment to further supporting their growth and the nation’s progress. In the front row from left are Holcim Philippines Senior Vice President for Manufacturing Roman Menz, Peaksun Vice President for Finance and Administration Natalie Ngo, President Joan Ang, Assistant Vice President for Finance Mercy Ariola and Holcim Philippines President and CEO John Stull during the cement maker’s annual customer thanksgiving activity where it reiterated these commitments. The top partners of building solutions provider Holcim Philippines, Inc. welcomed the company’s commitment to stable cement supply, and supported its thrust to provide innovative offerings that enable customers to thrive amid the healthy economy and better contribute to the country’s development. 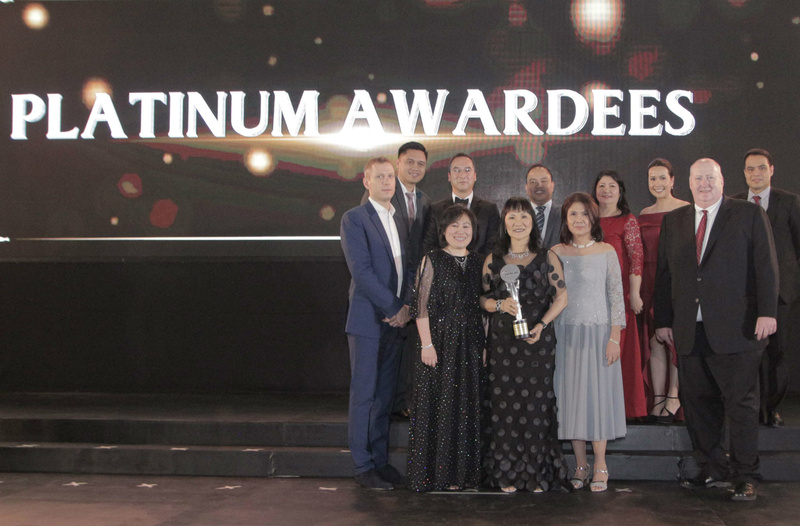 Holcim Philippines shared this direction during a gathering of its top business partners on June 2 to celebrate their contribution to Holcim Philippines’s sustained success. During the event, the company unveiled its ProSolutions offering, a complete range of product and services providing building solutions for application in homes, buildings, roads and infrastructure. The line of products and services are designed to help its business partners better support the ongoing construction boom in the country, which is expected to be sustained amid the health economy and the strong public investments in infrastructure. Holcim Philippines’s most important customers led by Peaksun Enterprises & Export Corp., MegaCem, Inc., Great Sierra Development Corp., 968 Trading and Mariano Chua cheered the company’s promise to enable its partners to be a stronger partner in building a better future for the country. For Peaksun Enterprises, the Philippines’s largest distributor of bulk cement and an integral partner of Holcim in supplying some of the country’s top real estate developers and builders, the firm commitment to supporting its customers is important given the many opportunities for the construction industry. “The Philippines is doing very well right now and it needs good quality and strong cement for the building boom. That Holcim is committed to providing these is good news for the country. We thank Holcim Philippines for its continued support for us in serving the market,” said Peaksun Enterprises President Joan C. Ang. Holcim Philippines Senior Vice President for Sales William Sumalinog thanked the company’s customers for their continued support and partnership, and promised to serve them better. “We are committed to help the country Build Better with Certainty. We are confident in fulfilling this important promise, because we have the support of important partners such as yourselves,” he added.